Over the past couple of weeks, we have experienced temperatures in the mid 90’s with the heat index at 100 degrees and higher. 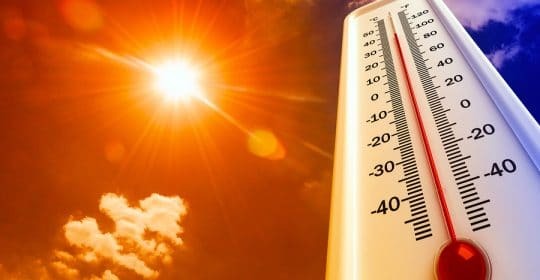 With the high temperatures, Macon Occupational Medicine (MOM) wants you to be careful and take precautions whether you’re working or enjoying your summer. According to the Centers for Disease Control and Prevention (CDC), it’s recommended that you Stay Cool, Stay Hydrated, and Stay Informed to prevent heat-related illness. Wear Appropriate Clothing: Lightweight, light-colored and loose fitting. Stay Cool Indoors: Stay in an air conditioned place as much as possible. If you don’t have air conditioning, go to a shopping mail or public library. Schedule Outdoor Activities: Perform outdoor activities early in the morning or in the evening hours. Pace Yourself: If you’re not accustomed to working or exercising in a hot environment, start slowly and pick up the pace gradually. Take frequent breaks as needed. Wear Sunscreen: Put on sunscreen of SPF 15 or higher 30 minutes prior to going out. Continue to reapply, according to the package directions. Stay away from very sugary or alcoholic drinks. If you have health issues, talk with your doctor before drinking sports beverages. Check for Updates: Check your local news for extreme heat alerts and safety tips. We highly encourage you to follow the CDC recommendations and remember MOM Cares!